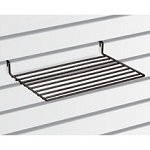 Go vertical and maximize your selling space with one of our metal Grid Basket Display's! Create a new and inviting retail area in your store with a sturdy and dependable floor fixture that offers style, easy access for customers, and affordability. 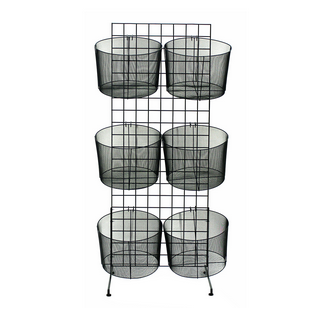 Each of these metal display pieces features six wire mesh baskets that are about eleven-inches tall with a depth of over fifteen-inches. Showcase small retail items such as bulk wrapped candy, random golf balls in sporting goods or hardware accessories throughout your business. With the sturdy design of this exhibit, you will not regret your decision to purchase a metal grid display. 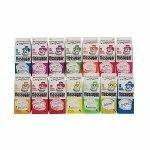 Ordering your merchandiser is easy, just click to add to your cart now at Candy Concepts Inc.